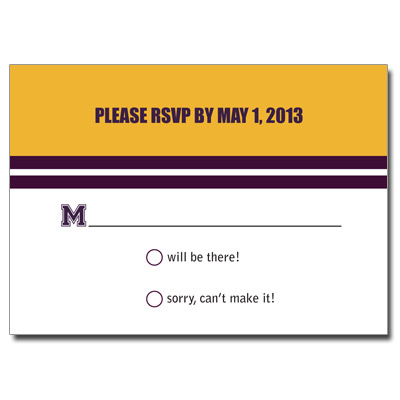 These response cards are the event of the season with a sports theme flare. Printed in maroon and orange and accented with fill in bubble bullet points, these response cards are a great way for your guests to confirm their attendance at your sports theme Bat Mitzvah party. This card measures 5x3.5.